Genie Instant Line Smoother is a clear cosmetic that instantly smoothes away the appearance of fine lines and wrinkles, bags and puffiness. Your skin will look younger, smoother and firmer within minutes and lasts for hours. 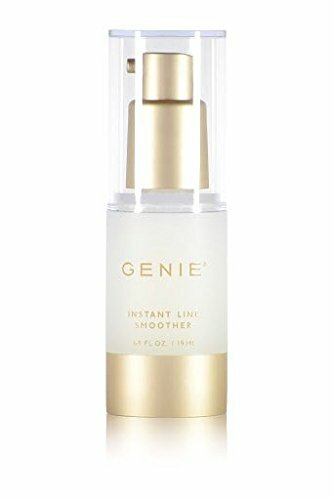 Genie Instant Line Smoother can be used on the bags and wrinkles around your eyes, mouth, forehead, lips, neck and décolleté - anywhere you want to look younger and smoother. In just two minutes, fine lines and wrinkles are greatly diminished. Genie goes on clear and dries clear-- so no one knows you are wearing it. If you have any questions about this product by Genie Beauty Products, contact us by completing and submitting the form below. If you are looking for a specif part number, please include it with your message.